Lash Extensions are individual lashes that are glued, using a medical grade adhesive, to your natural lashes. Who is going to apply my lashes? 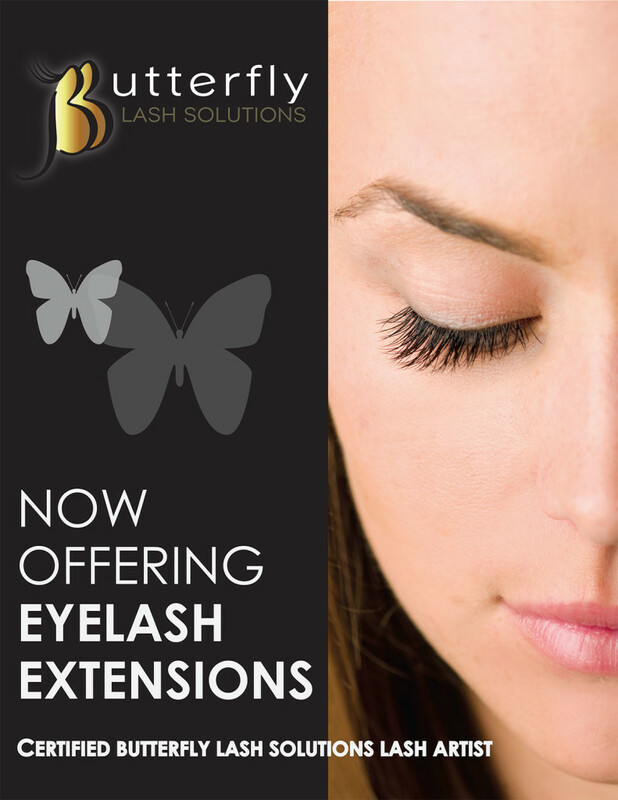 Our Lash Technician is licensed and certified to perform Eyelash Extension services. Not sure, ask ! 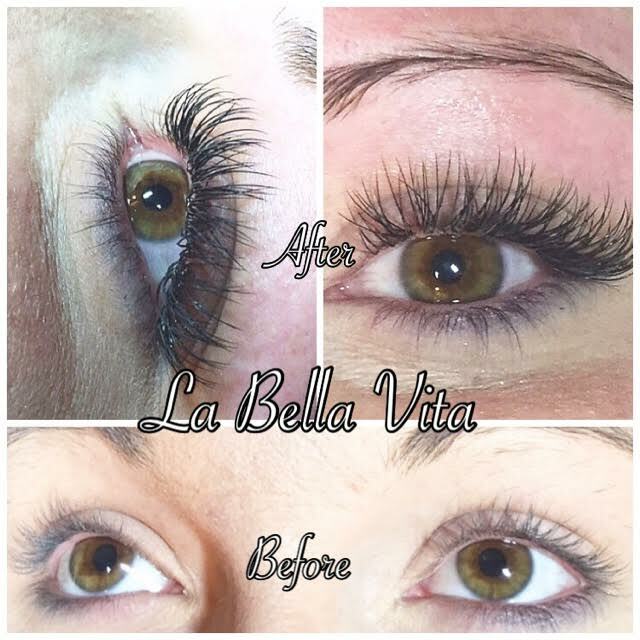 In Florida lashes may only be applied by a licensed cosmetologist or facial specialist (Esthetician). Ask to see credentials before you allow anyone to perform your lash service......it's your eyes! Your lash extensions will shed at the rate your natural lashes shed. 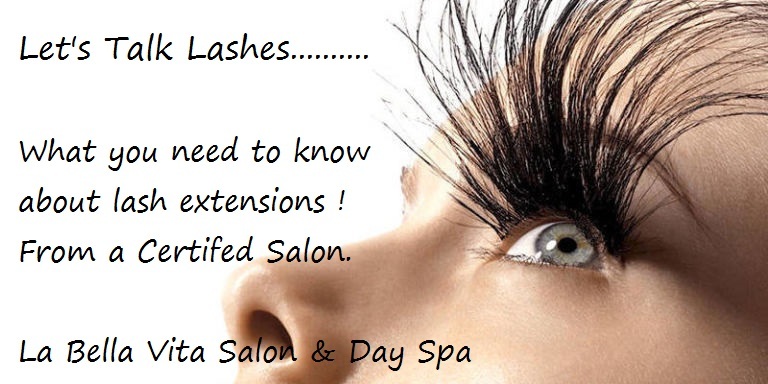 When you lose a natural lash you will lose the attached extension. We recommend getting your lashes touched up or "filled" between 2-4 weeks. During your lash touch up any extensions that have shed will be replaced and any grown out lashes will be removed and replaced as well. What is the difference between classic and volume lashes? Classic lashes are applied one lash extension to every one of your natural lashes. Volumes are more than one lash per every one of your natural lashes, creating a fuller more dramatic look. Will Extensions damage my natural lashes? No, if the extensions are applied correctly by a certified technician and they are properly maintained you should not experience any damage. How should I prepare for my Lash Extensions? We ask you come to your lash appointment eye makeup free (please no waterproof mascara). Wearing waterproof mascara to your appointment may result in a makeup removal fee of $15. and your lash results may be affected. Also, contact lenses should be removed prior to your service. Your first full set of lashes will take approx. 1.5 - 2 hours and a touch up around 45 min- 1 hour. If applied properly you will not really be able to feel them. Many of our guests enjoy their lash appointments so much they get so relaxed they fall asleep. Who should not get Eyelash Extensions? Clients with a latex allergy, glaucoma or undergoing chemotherapy are not good candidates for lash extensions. How should I take care of my Lash Extensions? * Do not wet your lashes for 24 hours while glue is setting fully. * Use an oil free makeup remover (we recommend Butterfly lash cleanser and Blink lash pads). * No mascara ( you won't need it, but absolutely no waterproof mascara). * Use the lash brush given to you to brush your lashes each day to keep them in check. * Keep any oils or products with oil in them away from your lashes, the oil will break down the lash glue. * Do not pull, rub or tug on your lashes... be gentle. *Please do not any wear eye makeup to your lash appointment (especially waterproof mascara). *Touch Ups 4 weeks and over will be charged as a Full Set.